The future is bleak for the human spirit. Conspiracies abound. The systems we’ve built to save us from savagery and solipsism have led us to ruin and collective dementia. Insanity rampages; mankind’s only escape is a descent into further madness. Reality is an inescapable nightmare of boredom, madness and oppression. Such are the dystopian and esoteric worlds of J.G. Ballard’s Kingdom Come and Svetislav Basara’s The Cyclist Conspiracy, both international works of speculative fiction published this month for the first time in the United States. Each offers a view into the unforeseen and devastating impacts that the imposition of unnatural structures, systems and lifestyles have on the human spirit. Both use metaphorical dreams, one of the sleeping variety and the other of the consumerist dream, to weave complicated meditations on the spiritual, economic and social ramifications of our modern lifestyles. And each ends with a willing descent into madness. 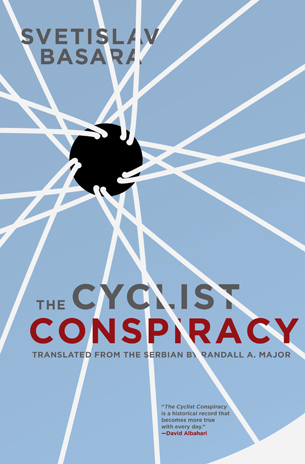 The first, The Cyclist Conspiracy, written by Svetislav Basara,was originally published in Serbia in 1988 and published in English translation for the first time this month. Basara is one of Serbia’s most accomplished writers, publishing twenty novels, thirteen short story collections and serving as Serbian ambassador to Cyprus. The English edition of the book was published in March, 2012 by Open Letter Books, University of Rochester’s Literature in Translation imprint, by arrangement with Geopoetika Publishing of Belgrade Serbia with the aim of introducing English-speaking, North American audiences to international literature. The noveltraces the alleged history of the Evangelical Bicyclists of the Rose Cross in a “voluminous almanac” of found secret documents, correspondence between famous historical figures, poetry and architectural drawings. The Evangelical Bicyclists are a secret iconoclastic mystical order that travels through members dreams to accomplish three goals: the destruction of all systems, structures and symbols that dilute direct contact with God, preventing the Tower of Babel’s construction and the resurrection of the Byzantium church. While The Cyclist Conspiracy has no traditional narrative story line- each chapter is a different fragment of the Bicyclist’s canon spread out over hundreds of years – Basara cleverly creates a grand narrative of the struggle between spiritual purists and the corrupting influences of iconography, authoritarianism and moralism out of Sherlock Holmes’ only unsolved case, phantasmagorical Nazi Storm Troopers and architectural plans for a 20,000,000 person insane asylum. Basara expertly weaves these disparate and fragmentary bits to create a challenging novel of deep philosophical resonance, filled with allegory, symbolism and metaphor that contemplates the structures of our collective spiritual, social and political systems with a knowing, meditative voice that respectfully treats the reader as an inquisitive co-conspirator. The Cyclist Conspiracy is the best kind of novel, in that it leads the reader to deeply consider one’s own spiritual life. Throughout my reading of the book, the paradoxes and insights that Basara presents challenged me to look within for answers to the questions he was posing. This is a book that requires several deep readings, and will likely yield new insights with each reading. This is not a book for everyone. The Cyclist Conspiracy is an enigma, wrapped in a historical put-on, wrapped in esoteric in-jokes, wrapped in contradictions, all told with a knowing and skillful nod and wink that fans of Robert Anton Wilson, Thomas Pynchon and Jorge Luis Borges will appreciate. Readers will have to hunt for meaning and traditional plot but Basara plants enough threads throughout the book that eventually, the pieces all fit together (in the end, the reader is given enough to solve that elusive Sherlock Holmes’ case). He circles back around to seemingly meaningless incidents to tie the characters and conspiracies together in the plans to build a massive insane asylum. But if The Cyclist Conspiracy ends with plans for a humanity wide insane asylum, the Metro Centre of J.G. Ballard’s Kingdom Come is the loony bin made shockingly real and horribly recognizable. 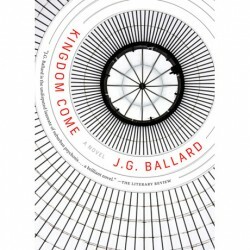 Kingdom Come is Ballard’s final book before his death in 2009. Originally published in the United Kingdom in 2006, the book made its American publishing debut in March 2012. Ballard was long known for his bleak, dystopian fiction that commented on the crushing impact that modern life and technology has on the human spirit. He was a prolific writer and his style influenced a generation of cyberpunk and dystopian writers. Kingdom Come is a fitting capstone to Ballard’s dissection of the madness of modern life. In it, Richard Pearson, a recently fired ad executive, travels to the London suburb of Brooklands to investigate his absentee father’s death during a shooting rampage by a local mental health patient at the Metro Centre shopping mall. 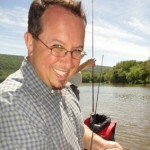 Pearson never knew his father in life and hopes to connect with him in death. But rather than finding closure with his father, Pearson quickly finds a conspiracy involving everyone he meets. The local pillars of the community seem to have hatched a plot to destroy the Metro Centre and his father may have been an innocent victim. The local doctor, barrister, police chief and headmaster all seem to have played a role in his father’s death in a misguided attempt to destroy the Metro Centre. Pearson quickly gets subsumed into the conspiracy, unsure if he is a pawn or a principal actor. The Metro Centre looms large in every scene of the book, an inescapable presence that overshadows everything in Brooklands. As a stand-in for the degradation of community that mass consumerism brings, it becomes the perfect symbol for town elders to target in an attempt to restore Brooklands to its former glory. But instead of devolving into a whodunit or a simple thriller, Ballard uses the apparently simple set-up as a starting point for an exposition of the “soft fascism” of consumerism. The characters, especially Pearson, find themselves both magnetically attracted to and repulsed by the pull of Metro Centre’s consumer dreams. Nearly every character is pulled into a web of unintended consequences by their actions, each step causing ever graver damage to an widening circle of people. In the hands of a less skilled writer, using a shopping mall as the central motif for a criticism of consumerism could be trite. But Ballard leads the reader through a systemic social breakdown caused by the insane urges of consumerism with shockingly believable ease with the calm, reassuring, mildly repetitive language of a network newscaster and brisk plotting. Not only can the reader believe that Pearson and Metro Centre are descending into madness, but one can imagine it happening at the local mall at home. Kingdom Come demonstrates how easily the boredom, infantilism and cultural degradation of a consumerist society can turn into fascism, racism and violence. By the middle of the book, Pearson has become instrumental in leading a violent revolution of consumerism with the help of the Metro Centre spokesman. Over the course of second half of the novel, the violence and destruction caused in the name of the Metro Centre escalates to engulf large swaths of English society, with devastating effects. The Cyclist Conspiracy uses dreams to fight the imposition of destructive systems and in Kingdom Come, the dream of a consumer system turns into nightmare.